First Tuesday of EVERY MONTH!! 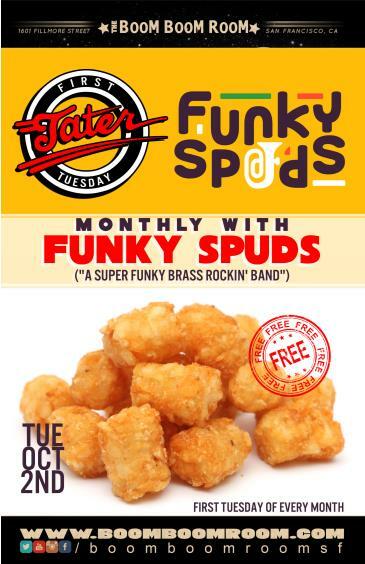 Funky Spuds is a funk band with something to prove. Created to demonstrate the possibilities of brass, Funky Spuds crafts performances to maximize funkiness; from the extended techniques of the sousaphone, to the dynamic soloing displayed by the band's veteran leader on both saxophone and guitar. 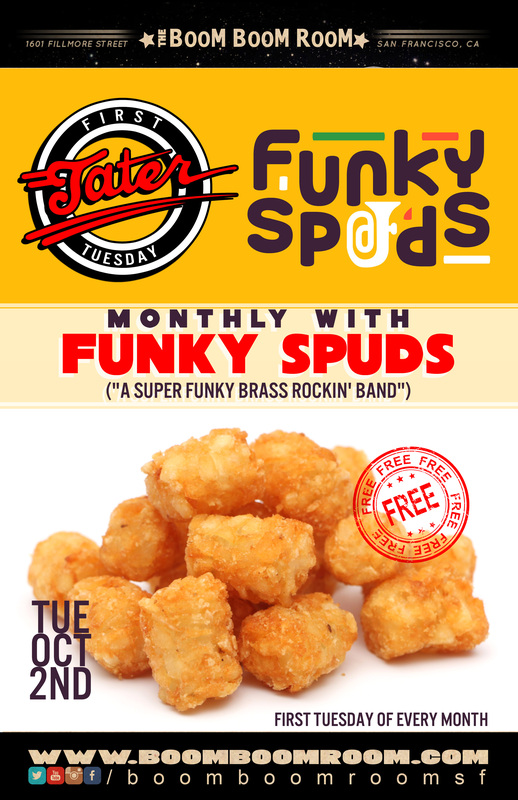 Collectively members of Funky Spuds have played with Levon Helm, Bob Dylan, Zigaboo Modeliste, Jazz Mafia, and The Purple Ones, to name a few. Bandleader and founder, Shane Cox, creatively expands the traditional use of tuba using harmony, beatboxing, improvisation, and more. Saxophonist and guitarist Paul Branin fronts the band adding unique jazz and rock elements. Boots and the Kats is an original funk, soul, electro-dance band formed in 2015 out of the San Francisco Bay Area.